Shopping for a new Mercedes-Benz GLC Class? The GLC’s AMG editions tempt with headsmacking horsepower, but a GLC 300 with adaptive suspension and advanced safety tech is pricey and pleasant enough for us. Mercedes-Benz has built lovely sedans since the very beginning of the automotive age, but it’s adapted well to the SUV era. It has five of them now, and this is one of the good ones. The 2018 Mercedes-Benz GLC-Class is the C-Class for most of us, whether it’s a GLC 300, a GLC43 AMG, or a GLC63. Four doors? Plus one, in fact, and also, a taller roof, more cargo space, easier accommodations, and the same high-end polish that graces the C-Class’s road manners and its lovely cockpit. This year, the GLC AMGs get an available sport or performance exhaust, a Track Pace app. Whether it’s a conventional SUV shape or a low-roofed “Coupe,” the GLC-Class doesn’t put a Benz family hair out of place. It’s a better-looking GLE, scaled down to more svelte proportions. From its massive Mercedes star logo on back, the GLC has a voluptuous appeal that probably still has the GLK’s designer thinking what might have been. The GLC’s interior? It’s even better, with a lush waterfall of wood trim, big round air vents, and a serene sensibility that plays well against its sheet metal. Performance comes in three grades. The 241-horsepower GLC 300 is the most normal model, if a 6.5-seconds-to-60-mph SUV is the new normal. 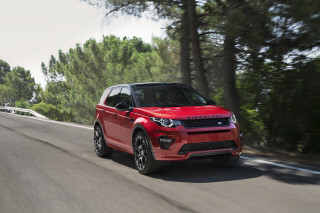 With rear- or all-wheel drive, it’s not blessed with copious steering feel, but especially on optional air dampers and springs, it glides over obstacles with NHL finesse. Fuel economy peaks at 28 mpg highway. Two AMG models dump the GLC 300’s turbo-4 but keep its 9-speed automatic and all-wheel drive. The GLC43 has a twin-turbo V-6 with 362 hp and wonderfully taut suspension tuning and steering weight. It’s not too brutal for daily driving, something we can’t yet say for the nutso AMG-built GLC63. In S trim, that SUV throws off 503 hp and injects some growth hormones into its shocks and steering rack. We’ve yet to drive one, and eager we are. Mercedes trims out the GLC cabin with fine wood and synthetic leather, which transforms into real leather once you pay for the unlock code. Upsized from the GLK, the GLC has room all around, for people and cargo and whatever falls between those labels. AMG models have better, firmer sport seats, but they skip the linden wood trim for metallic glints and racy suede and leather. The GLC’s rear seats don’t fold down quite flat, but that’s only rarely a problem; a bigger problem is the GLC Coupe’s big drop in usable cargo space, thanks to its low roofline. A rearview camera and forward-collision warnings come standard with the GLC’s excellent crash-test scores, but the next step in safety–adaptive cruise control and more–is an expensive leap. All models come with power features, Bluetooth, infotainment, and wood trim, but leather is an option, as is navigation. On the beautiful-people option list: heated rear seats, concert-hall Burmester sound, and even the in-car fragrance dispenser also found on the S-Class. Rugged? No, but the 2018 Mercedes-Benz GLC flashes just the right amount of sheetmetal skin. One of five Mercedes-brand SUVs, the GLC-Class keeps it all in the family. The subtle curves, long roofline, and massive star on the grille don’t have a Benz hair out of place. Between the two body styles on offer, we have a slight preference for the conventional crossover body. 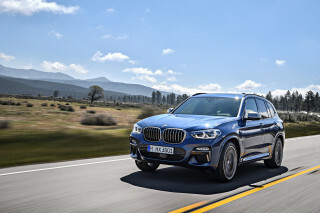 The so-called Coupe model has some lovely lines, but the steeply sloped rear roof cuts into cargo room, in the same way BMW’s X4 slights its original X3. In either case, the view from the front is nearly identical. The GLC face nearly mirrors that of the bigger GLE. The proportions change at the fenders, lower here and less emphatic in their utility. The GLC has a more subtle shape than the GLE, and we think it’s more charming. There’s also some voluptuousness that’s lost on the X3 and Q5. In a class with the Jaguar F-Pace, the Volvo XC60, and BMW and Audi perennials, it’s difficult to stand out, but the GLC does it with a stunning interior. The flowing, flamboyant shapes run from door to door, while a waterfall of wood drapes over the center of the cabin. The round vents, matte-finished metallic trim, and stand-up infotainment screen strike a note that’s lush and expensive-looking, even for Mercedes. The standard gloss wood trim can be replaced by open-pore grain with a lovely dark finish, or with black walnut to go with subtle leather tones in grey and brown. The GLC43 shares its entire body with the GLC 300, but the difference is in the details. 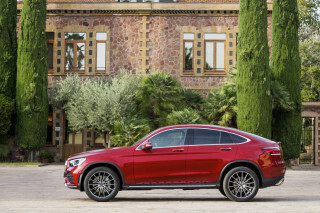 Its front and rear bumpers have their own design penned by Mercedes' AMG division, and it rides on 20-inch wheels instead of the 18s standard on the GLC 300. A more aggressive front bumper and rear diffuser with quad-tipped tailpipes announce the GLC63’s presence, whether that takes it to ritzy store openings on Peachtree Street or naked base-jumping festivals. That’s the part of the AMG lifestyle no one talks about openly: the travel commitment. With its supple ride and ample upgrade potential, the 2018 Mercedes-Benz GLC plays all the performance angles. The Mercedes-Benz GLC might best be described as a tall C-Class wagon. It’s a compliment: the GLC shares the C-Class’ sublime ride and its willing engines. As an AMG-burnished SUV, it’s a legitimate hustler. That GLC 300 comes from the Mercedes factory with either rear-wheel drive or all-wheel drive. Either way, a 2.0-liter turbo-4 with direct injection lives under the hood. It’s rated at 241 horsepower and 273 pound-feet of torque, and in both configurations, it shifts power to the wheels through a 9-speed automatic. We’ve driven both the GLC 300 SUV and GLC 300 Coupe, and in both cases performance is strong. The GLC 4-cylinders have good power across a wide powerband, and they accelerate quickly, in the 6.5-seconds-to-60-mph range. 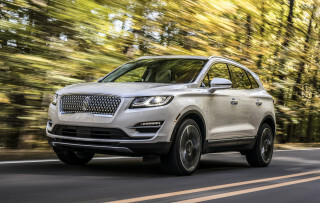 The turbo-4 spools out power in a refined, quiet way, though the Benz stop/start system judders it back to life with more vibration than in, say, a Lincoln MKC. Mercedes has tuned its 9-speed better than some other automakers, but shift quality can lurch through low-end gear changes. Mostly it’s unobtrusive; there’s a wide span in shift speeds and responsiveness as you dial through the GLC’s Comfort, Sport, and Sport+ drive modes. With all-wheel drive, the GLC sends slightly more power to the rear wheels on launch (it’s a 45:55 split), for smoother acceleration. That torque split changes constantly, as the computers tell the GLC to balance power for better traction and handling. No versions of the GLC offer a low range or a true center differential lock. In all the GLC rides smoothly and quietly. Even without the optional air dampers and air suspension, it can smother some impressively large bumps. 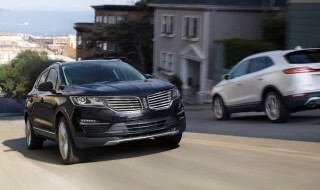 With those, it’s truly a luxury SUV, without the float. There’s almost no steering feedback on the base models, but the GLC 300 with air springs can isolate itself from the worst of the road without forgetting its primary chore, providing useful driving information. It’s precise and well-controlled, regardless of suspension. Step into the crossover delivered by the AMG sub-brand, and the resulting Mercedes-AMG GLC 43 gets more interested in sharper curves. Under its hood, the turbo-4 makes way for a 3.0-liter twin-turbo V-6 with 362 horsepower and 384 pound-feet of torque. Peak torque arrives at 2,000 rpm, which helps cut the 0-60 mph sprint down to a handy 4.8 seconds. All GLC 43s have all-wheel drive and a 9-speed automatic. AMG calibrates the air suspension to deliver a still-pillowy ride in Comfort mode, but the 9-speed automatic gets quicker shifts and the all-wheel-drive system splits power more heavily toward the rear wheels. The V-6 thunders to life, its actions amplified by a sport exhaust that crackles and pops, maybe a little too much at higher engine speeds. The GLC 43 handle very well, with just the extra height and weight dulling the vivid AMG impressions. Even with bigger 21-inch wheels and tires, the steering feels more lively than in the GLC 300, and body control is smart. The GLC 43 hustles into corners and remains especially flat in sport mode, mostly masking the crossover’s plump 4,100-pound curb weight. Coming soon: the nutso AMG SUV we’ve waited for since the GLK was new. The GLC 63 sports a 469-hp 4.0-liter twin-turbo V-8 with 479 lb-ft of torque. 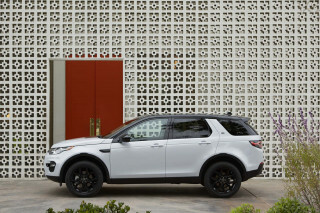 Stocked with a 9-speed automatic and all-wheel drive, it should run to 60 mph in 4.0 seconds. 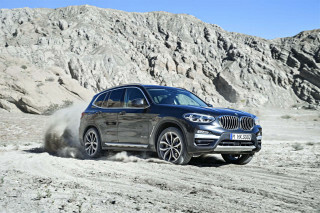 In GLC63 S trim, it’ll be pumped up to a ripe 503 horsepower and 516 pound-feet, good for a 0-60 mph run of 3.7 seconds. Only the GLC Coupe will come in S trim, however. Every GLC 63 has a limited-slip rear differential, though S models have an electronically controlled version for quicker power transfer. That’s an E63 axle working across the rear, which can’t be bad at all, and a Race mode in its driver controls. We haven’t driven one yet, but we’ll write more here once we have. Lush trim, a good driving position, and fine space all around vault the 2018 Mercedes-Benz GLC to its high score here. When the compact Mercedes GLK grew up and glowed up, it became the bigger, more beautiful GLC. One look at the interior tells the story of the two models’ dramatic differences. 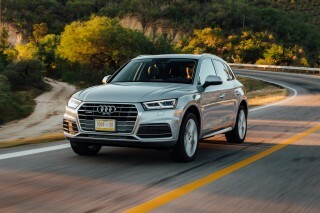 It’s now more roomy, more pretty, and more useful, and only marginally smaller than mid-size SUVs like the X5, RX, and even Benz’ own GLE Class. The driver gets a commanding view of the road, but doesn’t perch so much on the GLC as they might in the bigger, taller, GLE Class. The windshield sits low, and the well-sculpted seats tip the scales in favor of carlike sensory perceptions. The base seats don’t have very big side bolsters, but they do have lots of adjustment and extending thigh support. In base models, they’re covered in synthetic leather; for $40,000 that’s either vegan-friendly or ballsy, take your pick. AMG GLCs get grippy sport seats that walk a fine line between comfortable and confining. The back seat doesn’t suffer much between the standard GLC and the lower-roofline “Coupe” models. Both better the C Class sedan in head room and leg room, even when the panoramic sunroof is installed. The contours of the rear seat don’t lend themselves to a third passenger but they should fit shoulder to shoulder, though medium-framed folks will be a tight fit. Most adults will slide inside easily, without ducking or folding their bodies. A good cargo-floor height, fold-down rear seats, and ample cubic feet makes the GLC a good hauler. Behind the rear seat, 20.5 cubic feet of stuff will fit. Drop the 40/20/40-split folding rear seats in any order and that storage bin expands, but the seatbacks don’t lie quite flat. Coupe models have less cargo space and can’t hold objects as well, and rear-seat head room shrinks slightly, though it’s still acceptable. Some coarse engine noise filters in from the turbo-4; all the right noises enter the cabin in the AMG GLC43. Wind noise drops in more often than we expected, mostly around the big side mirrors. The 2018 Benz GLC performs well, ranking as high as any crossover. The Mercedes GLC has performed well in federal and independent crash testing and it includes a wide range of safety gear as standard. The NHTSA gives the GLC-Class five stars overall and the IIHS calls it a Top Safety Pick+. That means the GLC has “Good” crash test ratings all around, and also has headlights and advanced collision protection systems. The feds score the GLC at four stars in the calculated rollover test, which isn't a surprise given its high center of gravity relative to sedans and wagons. All GLCs have a rearview camera. Rear-seat side airbags are an option, along with surround-view cameras and blind-spot monitors. Also standard are forward-collision warnings with automatic emergency braking. Separately, the GLC can be fitted with a safety bundle that includes adaptive cruise control, active lane control, and automatic LED headlights with automatic high beams. It’s a very expensive package of features, but one that’s hard to pass up. A head-up display is available in the GLC, and helps as a companion to some of the active-safety gear, and Active Parking Assist is available on the GLC, helping to steer the vehicle into and out of parallel and perpendicular spots. The GLC has good outward vision, and the available surround-view cameras render a great view of surroundings when parking spaces are tight squeezes. It’s well-equipped in base form, and has a lot of available features, but the 2018 Mercedes GLC costs at least $40,000. The 2018 Mercedes GLC SUV is priced from just over $40,000, not including destination. 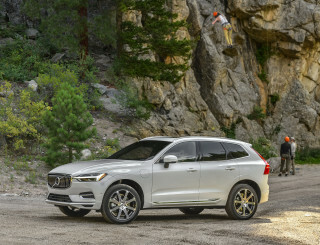 It’s more expensive than vehicles like the new Volvo XC60, but it’s still equipped with good standard features, offers a nice palette of options, and has good infotainment and service at its back. The lineup begins with the 2018 GLC 300, in rear-drive form. 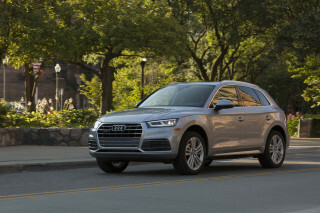 All-wheel drive adds $2,000, but other features are standard: power features, a power driver seat, dual-zone automatic climate control, 18-inch wheels, wood trim, and a 7.0-inch infotainment display. Mercedes offers a Sport package with bigger 19-inch wheels and bigger brakes as options, as well as satellite radio, a panoramic roof, leather, LED headlights, Burmester audio, an air suspension, and a head-up display. Mercedes also sells an infotainment system with a larger 8.4-inch screen and navigation. 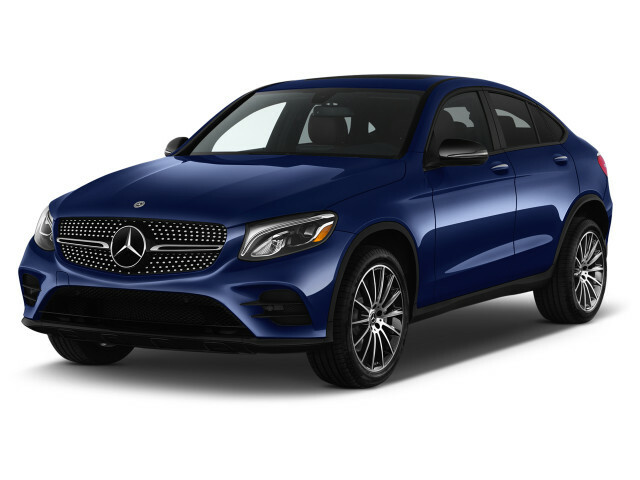 With its move upmarket, the GLC offers a wide range of appearance options, with wheels ranging up to 20 inches, an AMG Line model, "designo" boutique-look packages, and a Night Package that brings down the chrome factor with plenty of gloss black. On the GLC43, Mercedes includes synthetic leather and suede upholstery and 20-inch wheels, along with the styling and engine and suspension changes made to earn its AMG initials. The 2018 Mercedes-Benz GLC’s fuel economy is average for its class. With the GLC, Mercedes offers a mainstream model that’s reasonably good on gas, and two AMG models that are less pump-friendly. The EPA rates the GLC 300 at 22 mpg city, 28 highway, 24 combined. The available all-wheel-drive system shaves 1 mpg from the city rating. On the higher-performance AMG GLC 43, the fuel economy ratings check in at 18/24/20 mpg. The GLC has an Eco drive program that’s intended to cut fuel use, and stop/start is also designed into its engines. The GLC63 is rated at 16/22/18 mpg with its big V-8. Coupe models shave 1 mpg from that city rating. Looking for a different year of the Mercedes-Benz GLC Class?